I started the night before with three layers of basic chocolate cake, using this recipe I’ve used since middle school. I doubled the cocoa powder and halved the sugar, which resulted in really, really black cakes. After wrapping the layers in plastic wrap, I stuck them in the freezer to firm up overnight. This helps prevent the cake from crumbling during decorating. To make the mascarpone filling, I whipped a container of room temperature mascarpone cheese with half a cup of heavy whipping cream and 1/3 cup of powdered sugar. Once I added vanilla extract, the whole mixture curdled. I let the mixture sit on top of a double boiler while hand whisking, and the mixture slowly became smooth again. Turns out, putting the cream in the fridge overnight basically turned it into butter, and I had to repeat the double boiler process the next morning. 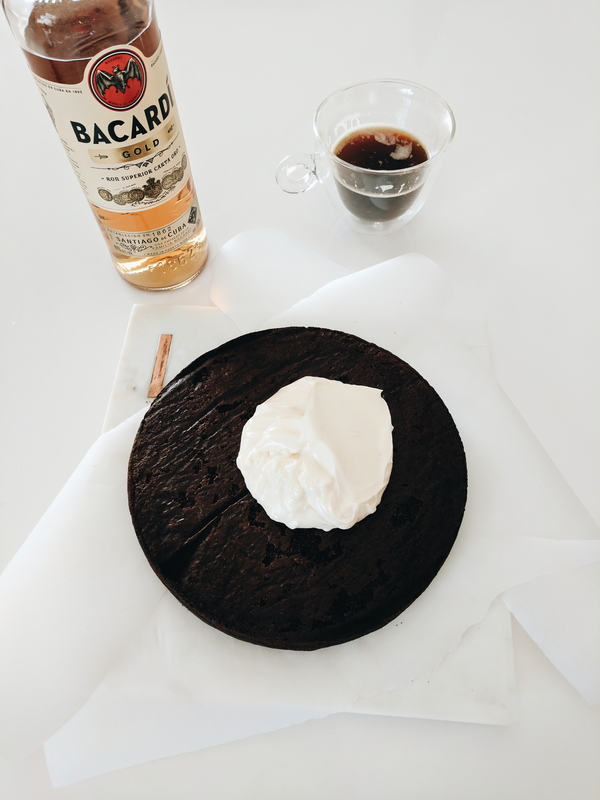 I brushed each cake later with a mixture of espresso, agave nectar, and gold rum. While the cake was still firm from the freezer, I slathered thick layers of mascarpone cream between each layer. 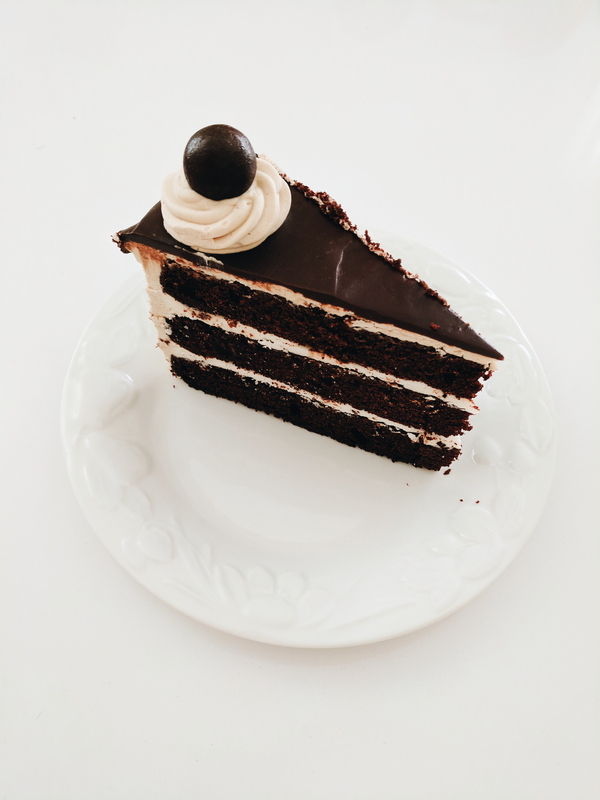 I put the entire thing back into the fridge while I made the Swiss meringue buttercream using this recipe. 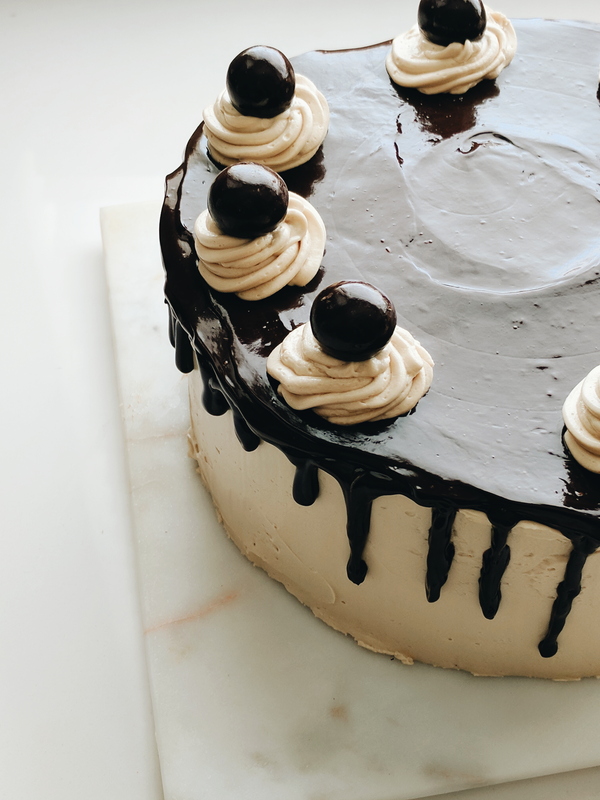 I spruced up the buttercream by adding espresso and instant coffee to it. 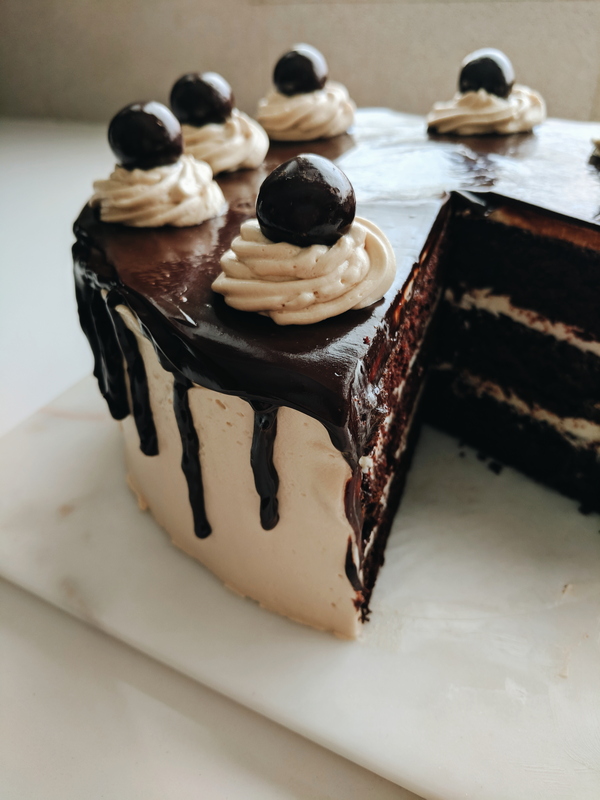 After many rounds of crumb coating, refrigerating, icing, and sloppy ganache dripping technique, the mocha cake turned out delicious and smooth, but seriously ugly. I definitely recommend serving any buttercream cake at room temperature, unless you enjoy the texture of solid butter. Omg this! 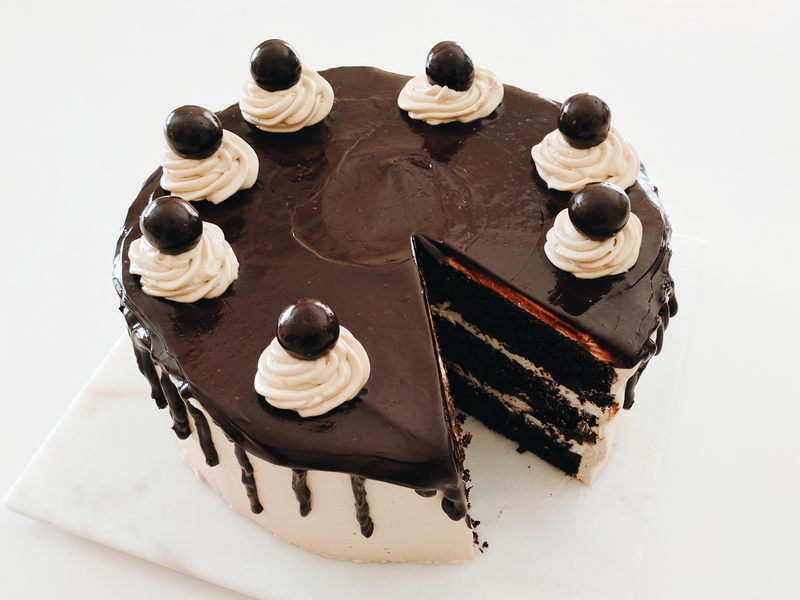 Love your pics, & the cake looks so decadent! Wow this looks incredible too. Glad I stumbled upon your blog. Looking forward to following along for more to come! Cheers!! Thank you so much, I love your content!